I saw this photoshopped photo floating around the web. I thought some of you might like it, especially early, Star Trek fans. 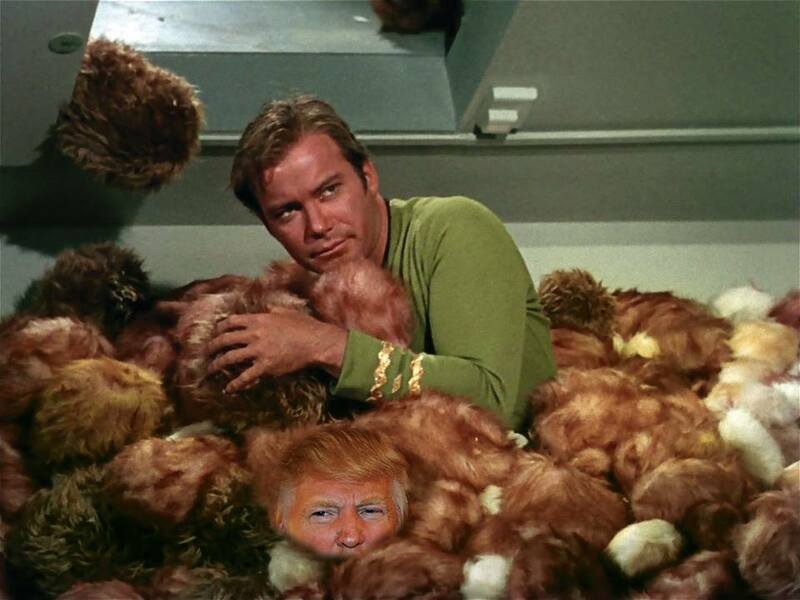 It’s from the episode, “The Trouble With Tribbles”. It’s him alright. Clever photo. Are you familiar with Star Trek? Is that Donald Trump at the bottom? Looks like Donald Trump peeking out at the bottom..